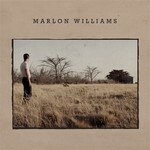 Marlon Williams was set on a musical path early by his parents. "My dad's definitely taught me a lot about music in all it's various forms; so has Mum. I sang a lot as a kid on the marae." He met his future bandmates Ben Woolley and Sebastian Warne in the Christchurch Boys High School choir, and this led serendipitously to the early formation of the The Unfaithful Ways and an album which was nominated for the 2011 Critics Choice award at the 2011 New Zealand Music Awards. Around this time, in post-earthquake Christchurch, Williams, his band-mates and other like-minded musicians formed The Harbour Union, and an album was released via Rough Peel Records. Marlon's next project was a joint release with Delaney Davidson: 'Sad But True: The Secret History of Country Music Songwriting', which eventually stretched to three volumes. This self-titled solo album was recorded in his hometown of Lyttelton with longtime producer Ben Edwards (Aldous Harding, Tami Neilson), the album showcases why Williams has been called "the impossible love child of Elvis, Roy Orbison and Townes Van Zandt".